So every comic book movie fan is clear, we're not suggesting that this is necessarily a 'better' way of doing things - we're just fine with the Russo Brothers and their writing team's rise from Captain America to overseeing the Avengers films. But when Hollywood (and Marvel, to a large extent) pitched the notion of separate films - from separate creators, telling distinct stories executing different visions - all making up a larger, coexisting universe... the idea of a single tone, direction, or sensibility was arguably the opposite of what was so compelling. In the years since, both the Marvel Cinematic Universe and the new Star Wars films have inched closer together in tone and audience (a wise move for Disney)... but if a studio has an opportunity to pursue different styles, serving different but sizeable audiences, are modern movie fans truly going to argue that they shouldn't? And if that opinion is largely informed by the fact that one of those audiences doesn't include them, and the belief that each film should cater to their sensibilities... well, we've reached an odd time in the history of cinema as an art form. Yes, Zack Snyder earned the ire of many fans and critics when he cast off pure fantasy or escapism for stories of mythic tragedy, modern xenophobia and extremism, and public unrest (from those who felt the DCEU shouldn't reflect our world so clearly). But with Wonder Woman setting Diana's first adventure against the horrors of World War I, it shouldn't come as a surprise that Patty Jenkins credits Snyder's vision of Diana, as well as a universe that invites other stories. It's easier than that sounds, because there are hundreds of years between the films. And, because [Batman V Superman] is who she's going to become a long time in the future. I got to look at the story of the beautiful child and character that comes into this world, and there might even be some misconceptions about who she is later on. We may be reading into things in Batman V Superman in the future that aren't necessarily what you think they are. They're making Wonder Woman, and so was I. For me, I felt very supported in this vision. Zack was making Batman V Superman simultaneous to making this, but he was very instrumental in the direction the film was going to take. That ended up leading to my signing on, because I know enough about these worlds now that unless we really have a shared vision, it's going to be two years of fighting, and who wants that? I had a very strong feeling of what kind of Wonder Woman film I'd want to make. 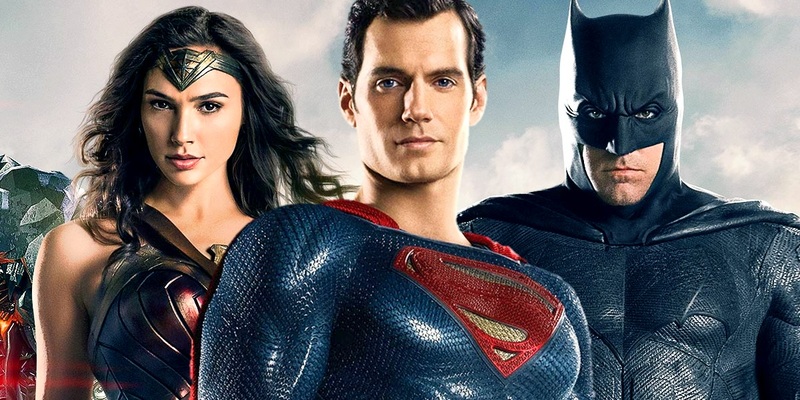 It's tempting to those who are certainly not 'fans' of Zack Snyder, or the DCEU's creative direction to view Patty Jenkins's film or sensibility in defiance of it, but she offers insight into the reality. 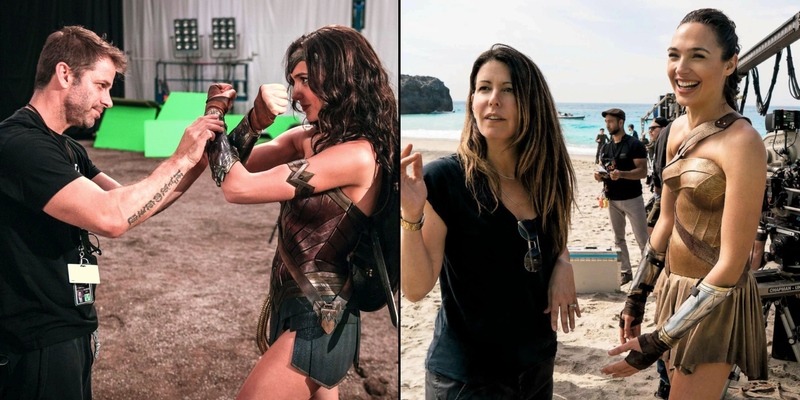 The story of Wonder Woman (for which Snyder, among others, is credited) was a vision the two shared because they're both after the same depth, thematic texture, and real-world commentary. Yet they pursue and realize those stories in different ways, because... they're different filmmakers. Rather than fighting against that difference, the early reactions imply Warner Bros. - and the shared production team - embrace it. And why wouldn't they? If Zack Snyder's perspective on DC's heroes as flawed, vulnerable, corruptible people living in a world capable of the same horrors as our own can find success among fans and general audiences, it's worth the conversation it creates. If characters explicitly defined by their unwavering compassion, dedication to justice, and a lifetime of leadership and duty can occupy that same universe, and deliver the optimistic, hopeful adventure different audiences (and critics) crave, even better. Taking a stand that Warner Bros. should choose one or the other is a hard argument to make sound convincing, without arguing against the variety that made shared universes so preferable to endless sequels. And when you add in Jason Momoa as the King of Atlantis and Joss Whedon's Batgirl... well, saying the DCEU is "doomed" creatively or financially is a hard sell.